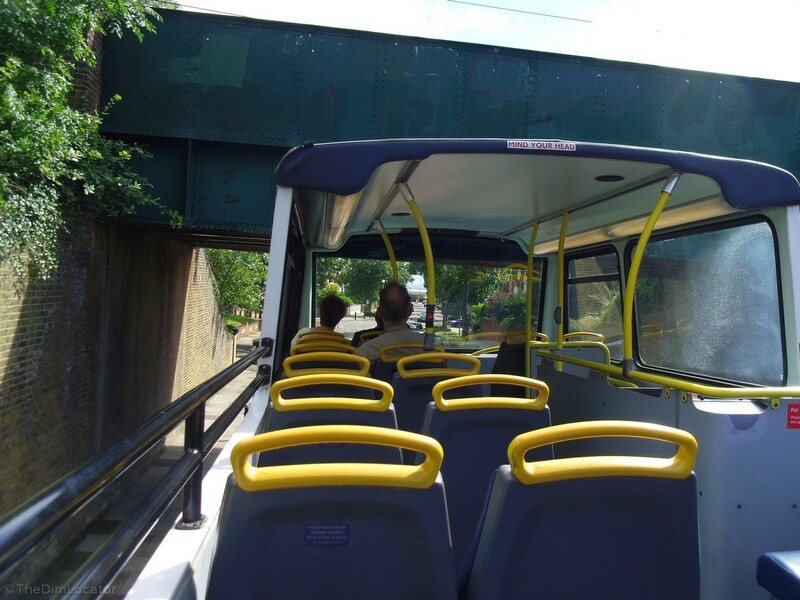 The open top bus journey continues and in this recording you can hear the children on the top deck chattering but also the two ladies in front talking about, amongst other things, jellied eels (I think), tripe and brains, they sound kind of local. You might then hear a man say “Here we go…” This is where the bus slows to walking pace to go under the 14′ 6″ C2C rail bridge in Chalkwell Avenue and the tone changes. Where you hear a moped that’s still Chalkwell Avenue but if you hear gulls it’s turned onto the seafront, might even have passed into Westcliff. Where you hear beeping it’s stopped to let people on or off. There’s a bit too much rustling for my liking though. This is from around 1.30pm, but the bridge photo is from another day.